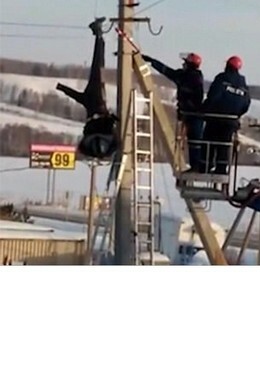 You are at: Home » Latest News » Unconscious Workman left dangling from an electricity pylon for more than an hour! 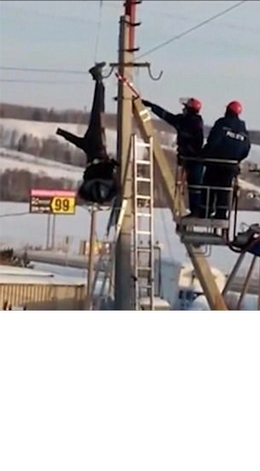 The Daily Mail has revealed shocking images that show an electrician dangling unconscious from a 50ft pylon before eventually being rescued by emergency services using a cherry picker. The workman is believed to have been shocked while working on the top of the pole and is believed to have recovered from his injuries since the accident. View the full story here.